She is known the world over by her first name and as the undisputed, reigning "Queen Of Soul," Aretha Franklin is peerless. This 2005 recipient of a Presidential Medal Of Freedomhonor (the U.S.A.'s highest honor), 17 Grammy Awards (and counting), a Grammy Lifetime Achievement Award and a Grammy Living Legend Award. 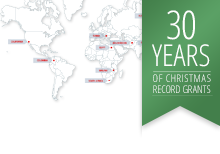 She has received countless international and national awards and accolades. 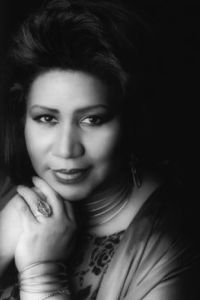 Aretha has achieved global recognition on an unprecedented scale. She has influenced generations of singers from Chaka Khan, Natalie Cole and Mary J. Blige to "American Idol" winner Fantasia Burrino and Oscar-winning Jennifer Hudson. Her ever-distinctive soulful, to-the-bone vocal style has graced the music charts for over four decades and while her 'live' performances have touched the hearts of literally millions since she began her musical journey as a gospel-singing child prodigy, it is her rich legacy of recordings that are a testament to the power, majesty and genius of this one-of-a-kind artist of the first order.